Addressing the need for affordable senior housing in rural Oregon, Whispering Pines Senior Village is a 62-unit facility located in Estacada, Oregon. 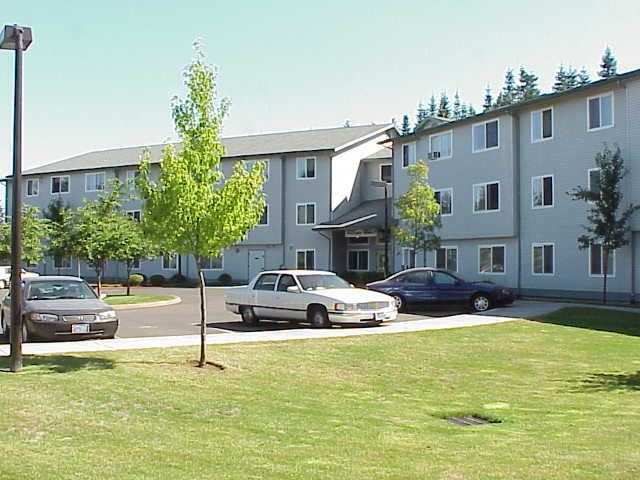 Within walking distance of the Estacada library and the city park, Whispering Pines offers a quality of life unsurpassed in subsidized housing. Our residents say Whispering Pines is a great place to call home! Located 35 miles from Portland in the picturesque former logging town of Estacada, Whispering Pines offers one-bedroom, one-bath units available at 514 or 525 square feet with full electric kitchens. Residents gather for potlucks, bingo, game nights, movie afternoons, guest speakers, and other programs. Quiet surroundings and a caring management staff combine for peaceful living. Additional amenities include a spacious community room with fireplace and kitchen facilities, landscaped grounds, planned activities, personal mail boxes, elevator, laundry facilities, and all units phone and cable ready. Small pets are welcome. Contact them to find out more and schedule a tour! Avery Davis, Community Administrator, 525 NW 6th Avenue, Estacada.